Right now, the team consists of Mr. Rise Up Reader, Editor-and-Chief Michael Aprile and Editor/Podcast Vocalist Cory Woodroof, but we want to add you to our flock! We have four positions available to join our staff. They are listed below. The lead analyst will be Rise Up Reader’s in-house football analyst. They will be responsible for dealing with the mechanics of the game for the Atlanta Falcons, breaking down film and providing an Xs and Os analysis on our players, weekly games and college film for prospective draftees/rookies. This role would be expected to write 3 to 4 months during the off-season and weekly posts during the season. Our Staff Writer positions will entail being the to-the-minute Falcons news writer who is able to update the site with breaking Falcons news, providing the details of the story and brief commentary on the ramifications of the news to the team. This role would see perhaps one to two brief posts daily depending on the news cycle. Knowledge of journalistic style, use of proper original source citation and knowledge of the WordPress editing system are recommended. Our Staff Commentator position will focus on providing commentary-driven content for the Falcons – essentially, you will be our staff columnist, who alongside Mike and Cory, will assess general Falcons subjects from a subjective lens. Weekly columns are recommended in the season, bi-weekly in the off-season. Hot takes welcomed (as long as they’re good). These are non-paid positions; however, you will have the latitude to cover what you wish along with the duties your position entails, have your work and personal Twitter handle promoted on our main Twitter page (along with our Facebook) and have an opportunity to appear on the Rise Up Reader Podcast with Mike and Cory. And, you’ll be a member of the Rise Up Reader team, and are entitled to all the gif-exchanges with Mike and Cory your heart so desires. If you’d like to throw your hat in the ring for any of the positions above, email us at riseupreader@gmail.com, tell us a little bit about yourself and send us a writing sample. We will go from there in selecting our new team members. Or, if you’d like to just write for Rise Up Reader on your own time, let us know, and we’d love to see what you’ve got. Send us a writing sample if that’s the case. If you are interested in submitting video content, feel free to let us know. We’d love to see your clips and potentially promote your work on our site, or have you created customized video content for our site. Also, if you have any questions, don’t hesitate to reach out to us via email or via Twitter (@RiseUpReader or @CoryWoodroof47). We look forward to hearing from you, and potentially adding you to the team. And, as always, Rise Up!!! 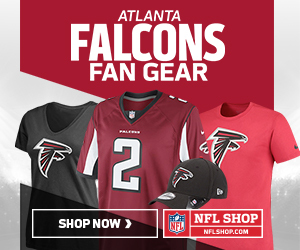 Im an historian and follow the falcons daily. Big reader of the Falconholic, listen to 92.9 daily, and stay on twitter for updates on rumors and transactions. Im definitely interested. Great to hear of your interest. Shoot us a writing sample and what your’e interested in writing specifically, whether it’s a position above or as a general contributor, at riseupreader@gmail.com. I’m a falcons season ticket holder, 6 years in a row of attending camps at flowery branch and watching practice up close. We will be attending every home game including preseason and you could count on me as a die hard falcons fan, win or lose.